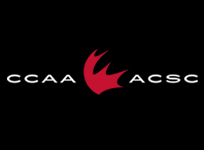 Big games from Kiara Kilbey and Georgia Bignold paced the Victoria Vikes to a 5-1 win over the University of the Fraser Valley Cascades on Saturday evening at MRC Sports Complex. Bignold scored twice for the visitors and Kilbey added a goal and two assists as the Vikes (1-2-0) picked up their first win of the young Canada West campaign. 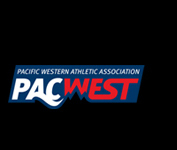 Gurneet Dhaliwal replied for the Cascades (0-2-0). “What we have to take away from this weekend is, we showed at times in both games that when our commitment, discipline and energy are there, we can play,” said Cascades head coach Rob Giesbrecht, whose team was coming off a 4-1 loss to UBC on Friday. “When we lack discipline, commitment or energy, it’s really tough, because good teams punish mistakes. Good teams punish us when we have a lull. 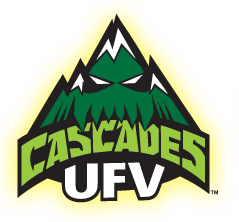 The Cascades had the first quality scoring chance of the evening – Simi Lehal’s volley in the seventh minute appeared ticketed for the top corner, but Vikes goalkeeper Puck Louwes got up to snag it. The Vikes broke the ice on the counterattack in the 14th minute. Cascades keeper Joven Sandhu dove to get a piece of Kilbey’s drive from outside the box, but not enough to prevent the ball from trickling into the net. The visitors struck again just five minutes later. After a foray down the right wing, Kilbey slipped a pass to Bignold, who turned and beat Sandhu with a rising shot. 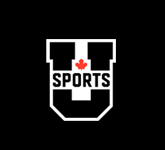 In the 38th, UVic’s Kyra Teetzen cut the ball inside to find an overlapping Aishy Shinomura in the middle of the park. The midfielder forced her way past a Cascades defender and finished on a long-range and left-footed shot to give the Vikes a 3-0 lead at the break. 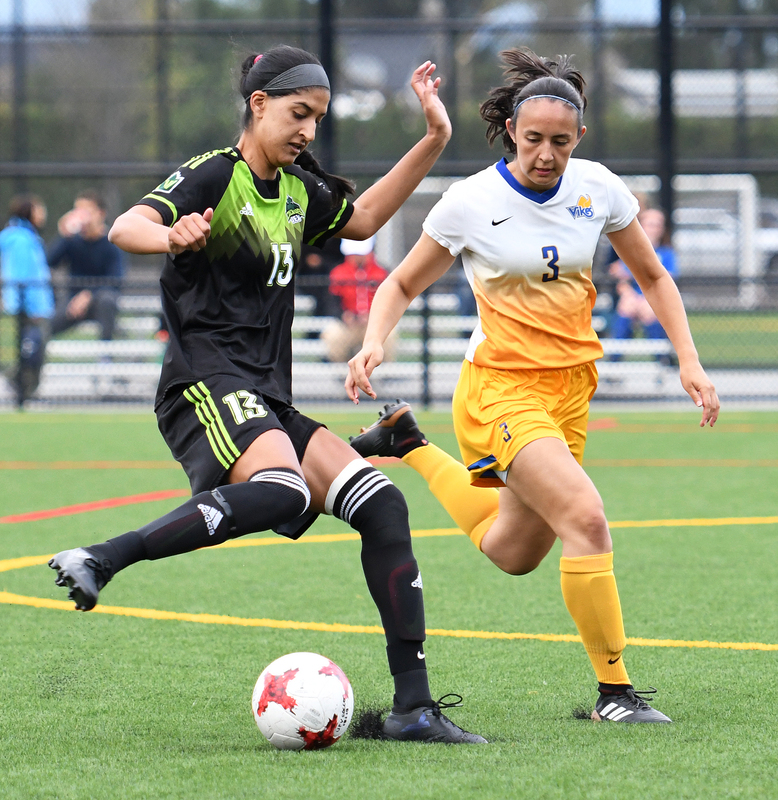 Simi Lehal looks to evade a UVic defender. Bignold notched her second of the night in the 68th minute, running onto a through ball from Kilbey and slotting a low shot past Cascades keeper Andrea Perkovic, who had come on for Sandhu at halftime. The Cascades got on the board via Dhaliwal’s first goal of the campaign in the 74th. Jashan Sandhar sent a cross in from the right wing, and Dhaliwal beat Louwes to the ball and deftly deflected it home. UVic’s MacKenzie Ringrose rounded out the scoring in the 81st. A Vikes cross was headed out of the six-yard box by a Cascades defender, but the ball landed right on the foot of Ringrose just inside the penalty area with plenty of time to pull the trigger, and she fired a shot into the far corner. “I thought we started the game really brightly, and the first goal was one our keeper would like to have another chance it,” Giesbrecht said. “It kind of bounced in front of her and got by her. Up until that point, I thought we were playing well, but we kind of hung our heads for a bit and quit moving our feet. They got energized by that goal, and kind of came at us in waves and potted two more. It was frustrating. The Cascades hit the road next weekend, facing the Winnipeg Wesmen on Friday and the Manitoba Bisons on Saturday.